We have first hand experience with a wide range of different building methods and systems and our Lanefab Hybrid wall system balances the best benefits of cost, performance, and timing. The system also works well on urban sites with restrictive zoning codes, and with a wide range of exterior and interior finishes. 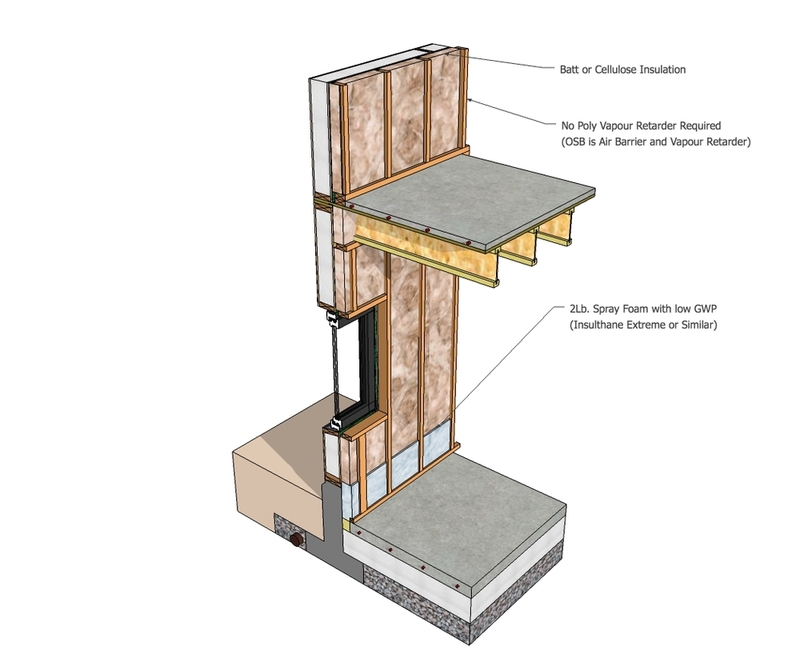 Lanefab's standard Hybrid wall - which has an effective insulation value of R38- is a combination of two walls: an outer structural wall and an inner service wall. 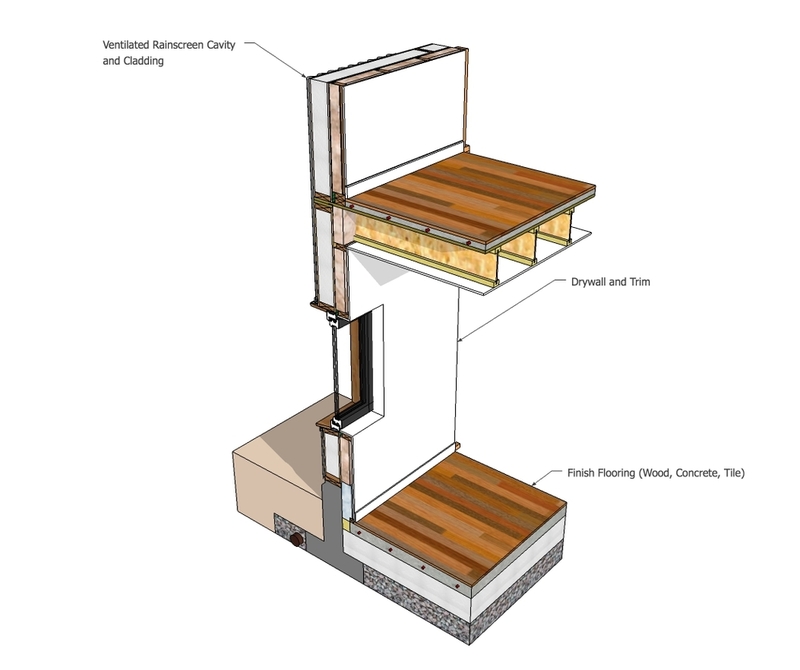 The Passive House version, with a thicker SIP, is R58. 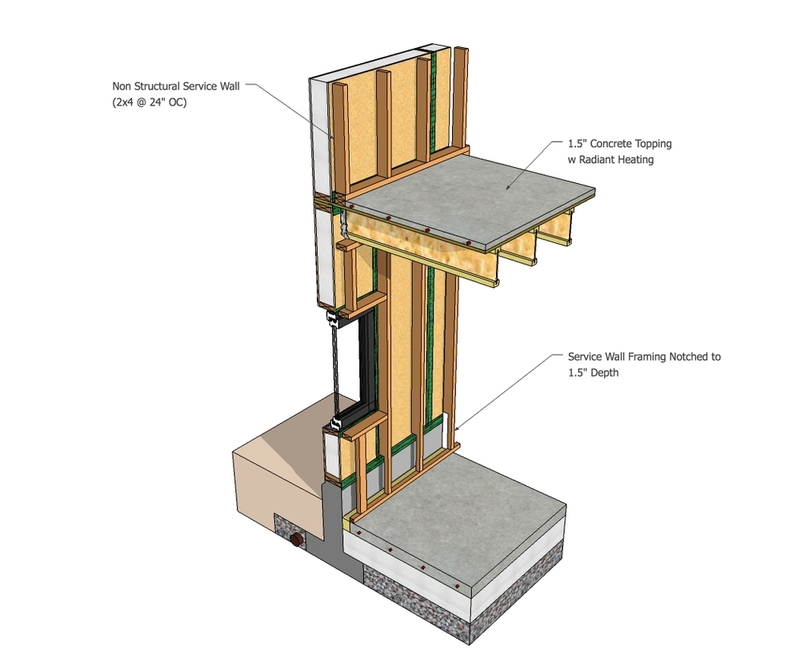 The outer structural wall is built using prefab Structural Insulated Panels (SIPs) which are cut to specific sizes and shapes for each custom design. The panels are pre-assembled at the factory, and then installed on site. 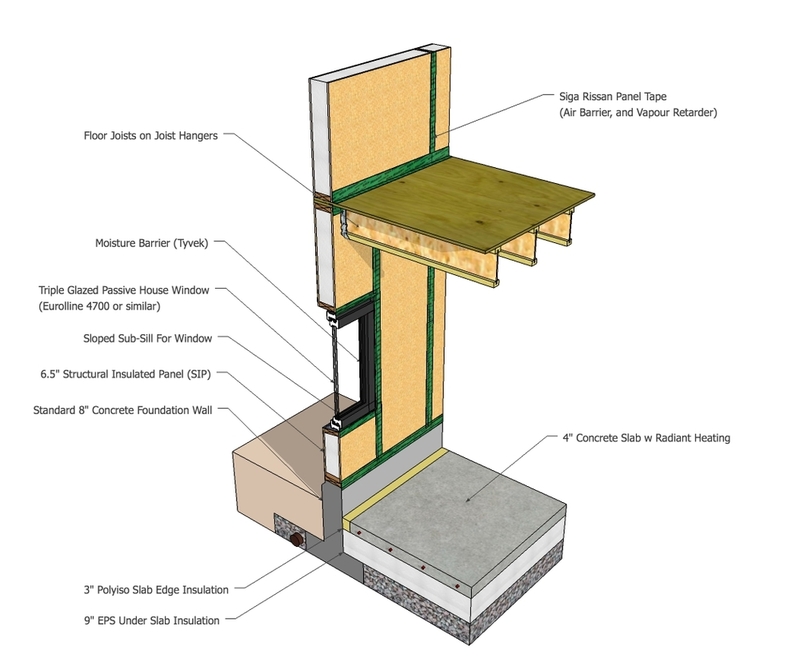 Using SIPs a typical house can be framed, insulated, and ready for the roofing in 2 to 5 days. The inner service wall - which can hold the home's electrical wiring and plumbing - is framed out of 2x4s with a 1/2" gap to the SIP panel. After the plumbing and electrical has been installed, the inner wall is also filled with insulation. Because the SIP panel acts as a vapour barrier, no plastic sheeting is needed. Scroll through the gallery to see how the wall assembly is put together. 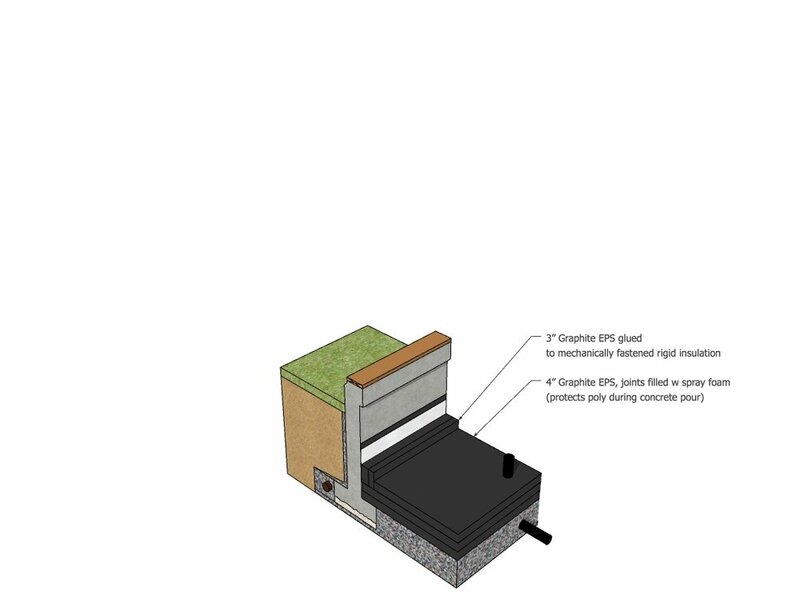 The outer SIP wall sits on the concrete foundation, while the slab-on-grade (which typically has in-floor heating) is surrounded on all sides by insulation. The inner service wall is filled with batt insulation (or cellulose) and the foundation wall is insulated with spray foam.